During the past few decades, technology has become a fundamental element of people’s lives. Information Technology in particular has become even more significant than other technological advancements, due to its broad spectrum of application. Assidua Technologies Pvt Ltd, established in 2012, is a fully owned subsidiary of the Shan Group of Companies, a conglomerate established in 1999 and has made its presence felt across multiple continents in a remarkably short period of time. We are in the business of marketing world-renowned high quality power solutions, coupled with premium service levels in order to satisfy customers and to become the most respected Power solutions provider in Sri Lanka. Hard work, sensitivity to market conditions and a serious commitment to quality has resulted in the rapid growth of our business. Sound business ethics and adherence to the highest quality standards right across the board has helped forge long-term relationships with internationally acclaimed suppliers. This synergy has been passed on to our customers in the form of superior products delivered with unparalleled customer service and care. To be the Number ONE Uninterruptible Power Supply and Service provider in Sri Lanka. Our mission is to provide high quality technological solutions in cohesion with supreme after sales service to ensure reliability and value for money. We strive to understand the needs of our clients to build long lasting relationships, making Assidua Technologies a name associated with superior customer satisfaction. At Assidua Technologies, how we do business is as important as what we do. Our aim is to build trust-based and lasting relationships with our many stakeholders, to generate value in society and deliver long-term shareholder returns. Our values define who we are as an organisation and what makes us distinctive. Assidua Technologies (Pvt) Ltd., we offer a creative, professional and cost effective ONE STOP- IT SOLUTIONS to fulfill business growth and varied IT needs of our clients. We build a solid and respected business by specializing in Providing IT hardware Consulting Services mainly on the UPS (Uninterrupted Power Supply) area of providing new units, repairs & maintenance along with, network cabling. Assidua Technologies believes that business applications of Internet are unlimited. In order to explore new business opportunities and adapt to the fast changing environment, ALL businesses need IT professionals to assist them. Assidua Technologies IT uses today’s increasingly complex and sophisticated Information Technologies to provide professional IT services and expertise that enables our clients to achieve their business growth. In order to ensure the Quality of the product, The QA team is involved from the very start of the project. Each deliverable is reviewed against the requirements and once the QA team approves the quality only then the deliverable is released for submission to the client. The onsite team provides support to the customer during the acceptance testing process. If there is any re-work required the onsite team decides whether it can be carried out onsite or it has to be sent back to the offsite development team. Assidua Technologies has well established relationships with our business and consumer clients. We take pride in being able to provide our customers with a complete range of services. Over and above the supply of products, we supply carry-in and on-site maintenance services as well as infrastructure management solutions. Skills not available in-house can be contracted in on short notice to provide you with a one-stop solution. Examples of these are network cabling installations or any UPS repairs etc. Our in-house technical support staffs gladly assist our clients with any problems they may encounter. 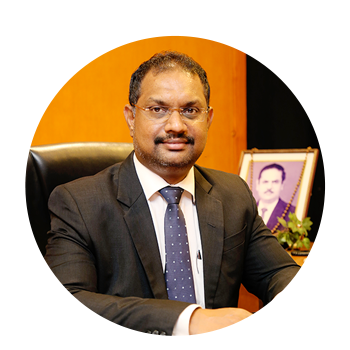 With over 20 years of entrepreneurial experience as a successful businessman in various fields Mr. Shanmuganathan Balasubramaniam is the Founder and the present Chairman of SHAN Group of companies based in Dubai. With over a decade of experience and knowledge gained in the Banking Industry, he took over the position of Manager – Operations of SHAN INTERNATIONAL – U.A.E, a member of the SHAN group of companies. In the year 2004 he assumed duties of the Director – Operations, at Assidua International Pvt Ltd. He is a past-pupil of S. Thomas College, Mt.Lavinia. 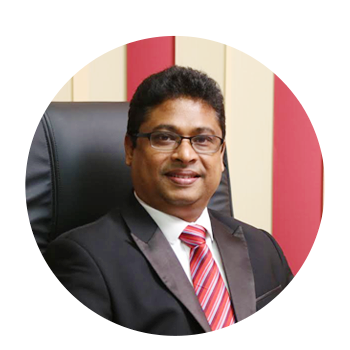 Mr. Bogahawatte is a highly experienced professional who brings over 26 years of experience in the finance sector. 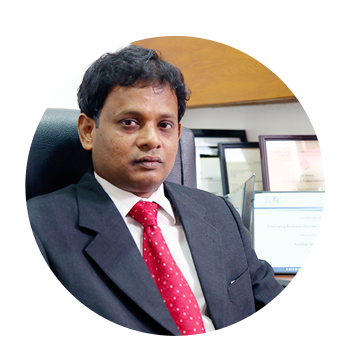 He is an Associate Member of the Institute of Professional Financial Managers (UK) and is also an Associate Member in Banking - Sri Lanka. Pradeep commenced his professional career at Commercial Bank of Ceylon PLC, where he quickly rose through the ranks to assume the role of Branch Manager. Soon after, he moved to Pan Asia Bank, where he became the Head of the Corporate Branch, located at the World Trade Center. In the year 2016 he took over the position of CEO of Assidua Technologies Pvt Ltd. He is also a financial consultant to many leading companies in Sri Lanka. 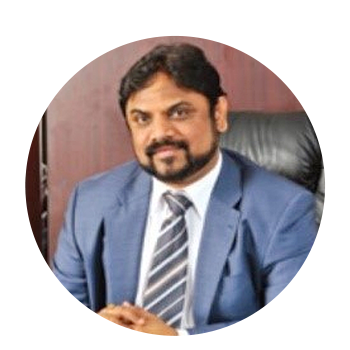 Through his extensive experience in Sri Lanka’s banking and finance industry, Mr. Bogahawatte has developed a keen strength in administrative functions such as strategic planning, operational management and superior corporate and retail client servicing skills, and also has a deep understanding of Human Resource Management. Mr. Sadishkumar has been the Director of Assidua Technologies Pvt Ltd since its inception, and possesses over two decades of knowledge and experience in the area of UPS (Uninterrupted Power Supply) service, repairs and maintenance. He is qualified in Electrical & Electronics from German Tec, Sri Lanka. He is a past-pupil of St. Anthony’s College, Wattala.